In the vibrant city of New Orleans, LA, lies the Audubon Butterfly and Insectarium, an interactive experience that encourages visitors to use all five senses to explore the world of insects. 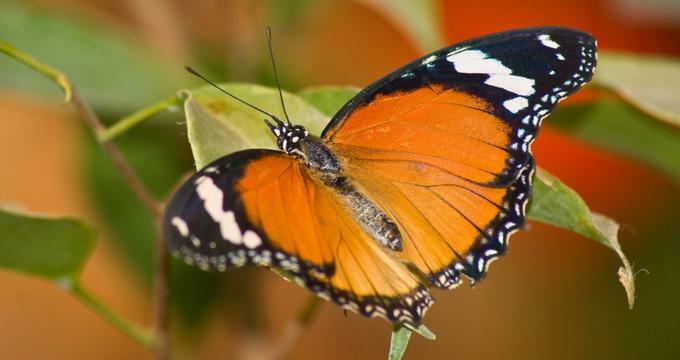 It is the largest museum in North America devoted to butterflies as well as other insects and their relatives. Opening in 2008, this museum is renowned for its dedication to expanding the sphere of knowledge with its insectarium, and is recognized as a top museum for children. It is part of the Audubon Louisiana Nature Center, which includes the Audubon Zoo and Aquarium of the Americas. Over 15,000 different animals are housed in this nature center, giving children a diverse educational experience with mammals, reptiles, amphibians, insects, and birds. The museum is a hub of knowledge of the world of insects as well as a great place to discover more about the planet. The range of exhibits at the Butterfly Garden and Insectarium gives visitors a new perspective on the word of bugs and butterflies. Through interactive displays, exhibitions, and presentations, visitors learn how insects are an essential part of the world. Some of these exhibitions include the Butterfly Garden, Metamorphosis Gallery, Hall of Fame, New Orleans Gallery, Underground, and Main Hall. The combination of these exhibits aims to provide a diverse educational experience about insects. The beautiful garden, which has an Asian-inspired design, flutters with hundreds of colorful butterflies soaring through the air to land on flowers. This free-flight garden is a spectacular event and there is even a possibility that the butterflies will rest on the shoulder of a visitor. After seeing butterflies flying through the air, you can learn more about their lifecycle in the Metamorphosis Gallery, which illustrates the lifecycle of insects through a lab that showcases how insects grow and reproduce. It may even be possible for guests to see butterflies emerging from their chrysalises. To explore the world of insects, stroll down to the Hall of Fame at the Insectarium, which is one of the most architecturally significant historical rooms in the United States. The arched brick ceilings are incorporated into the gallery, which displays some of the fastest, biggest, and most impressive insects on the planet, including some rare butterfly species. Legendary local bugs are housed in the New Orleans Gallery, where guests have the opportunity to learn how bugs are essential to local history. Between mosquitoes, katydids, cockroaches, love bugs and, most importantly, termites, these insects have influenced the character of the city. Bugs have an impact on the environment around us, no matter if it is a city or a small town. To gain a new perspective, guests can walk through the oversized exhibit known as Underground, which allows visitors to experience how bugs see the world. With the effect of shrinking guests to the size of an insect, they can explore like an ant would. Insects are a part of history and of current times and in the Main Hall visitors can see the differences and similarities between prehistoric and modern day bugs from around the planet. With brightly colored large models of ancient insects scattered across the walls and ceilings in addition to some realistic murals, guests can learn about insects and their extinct relatives that used to roam the Earth. When it comes to dining in the Insectarium, hungry guests have the option to try new unique foods; some of these foods even include bugs! In the exhibit Bug Appétit, visitors can watch every afternoon as chefs create fantastic dishes that include protein-rich bugs. After their cooking demonstration, some of the braver onlookers have the option to sample these exotic creations. For anyone who doesn't love the taste of insects, there is the Tiny Termite Café, which has snacks and drinks that have insect themes, although there are no real bugs in the food. The design of the Café reflects insects as well, with real bugs at the center of the tables. Educational programs offered at the Audubon Butterfly Garden and Insectarium run throughout the year and are catered to the learning style of children. Through a number of events and camps at the Audubon Nature Center and the affiliated museums, children can continue to learn throughout school breaks and holidays. Dedicated to fostering learning, the Audubon Butterfly Garden and Insectarium is one for your must-visit list.